Kirill Bensonoff sees multiple potential roads ahead for blockchain, but one stands out above the rest. This study by Lovelock, Reynolds, Granetto and Kandaswamy (2017) indicates that the business value-add of blockchain will amount to more than $3.1 trillion by 2030. 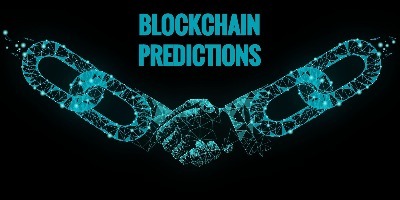 The potential and value of the blockchain industry is rapidly increasing, and in order to capitalize on the growth Bensonoff predicts blockchain solving real-world problems. One of the potential future applications of blockchain set to make the biggest difference to people around the globe relates to identity management. Identity management and personal data security have been amongst the biggest problems posed to the world in the internet-age, according to Bensonoff. Research done by Microsoft has determined the cost of global cyber-crime to exceed $500 billion, and data from Hackmageddon indicates that account hacks are rapidly increasing. Bensonoff states that blockchain would be able to offer more security due to the verification processes associated with the blockchain network. This technology could change the face of user security and the protection of personal information online. Supply chains. Blockchain technology can be used to record goods, track orders, verify information, share it and more. Health care. A blockchain network for health care providers could consolidate patient records, help with billing management and many other facets of health. Intellectual property. There are various blockchain-based intellectual property projects already showing promise. Voting. Blockchain technology applied to online voting processes can establish tallies, simplify information audits and prevent fraud. While it’s important to innovate with blockchain in terms of technology development, it’s equally important to increase usage and awareness of blockchain, suggested Bensonoff. Because blockchain needs to be used and known by the mainstream in order to evolve beyond its infancy and achieve the true global impact it has the potential to deliver.